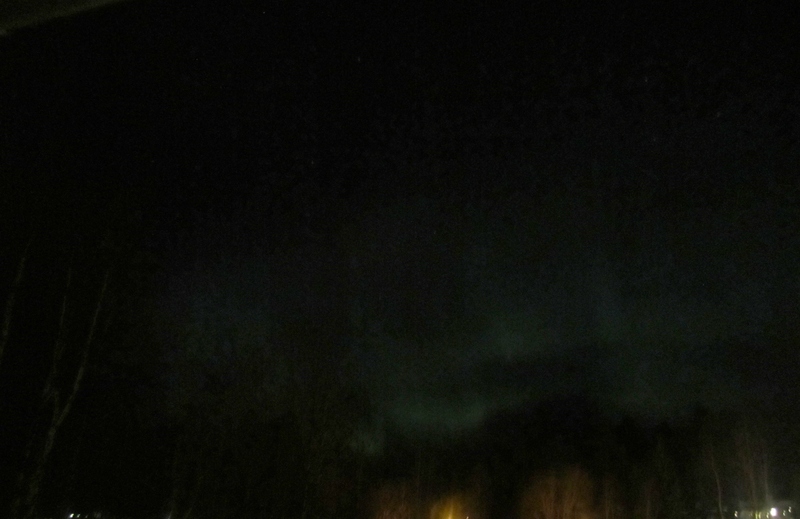 There were Northern Lights over Hudiksvall last night! Last time I saw it here was in 2001, and just like yesterday, it was only a vague shade of turquoise dancing on the sky, but none the less, the most beautiful thing. 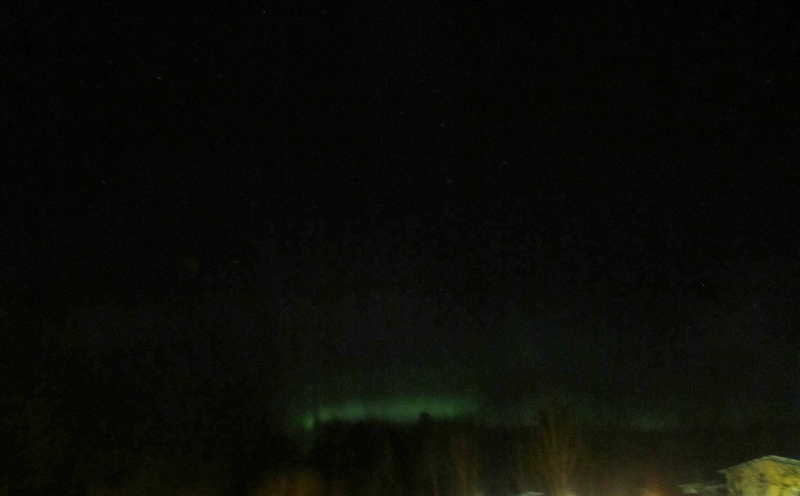 It rarely occurs on this latitude, in fact you have to travel 1000 kilometres north to be within the Arctic Circle region, where the Northern Lights can be spotted. And even then, it only arise under perfect conditions. 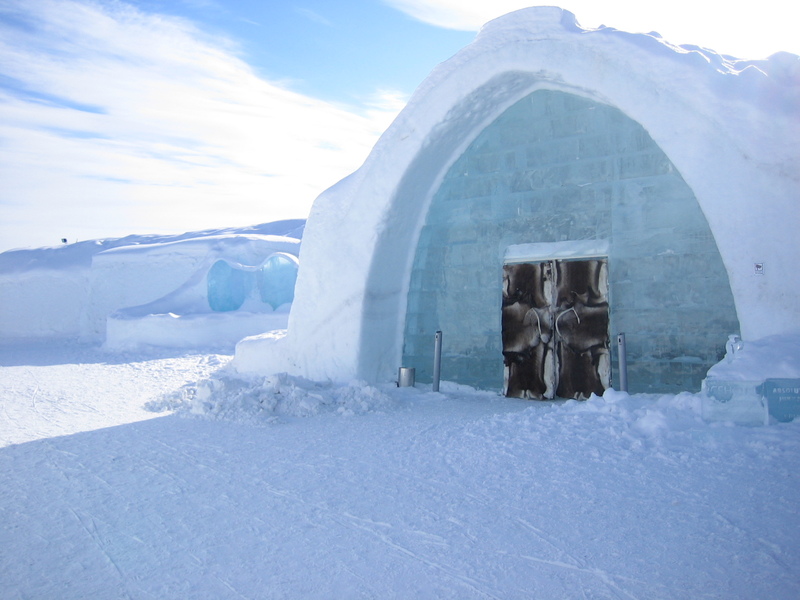 I spent three weeks at the ICEHOTEL in Jukkasjärvi in 2007 and even though we went out on snow mobiles in the middle of the night we never saw the famous Aurora Borealis. It would have been the most amazing experience to have witnessed it there. But now, I got to see at least a shade of it from my bedroom window. I had just come back from my friend’s house, where we had made dinner and shared a bottle of wine. It was late, I had walked home for half an hour, I was completely beat and the red wine had put me in a drowsy state. I had just crashed in bed when I noticed a green light reflecting on the wallpaper. I tried to keep my eyes open as I watched the light dance behind the tree tops. I knew the scene would have been so much better from an open field, but the thought of putting clothes on and going out in minus ten degrees again seemed too hard at that hour. Instead, I dragged my bed to the window and let the universe of lights and stars rock me to sleep. Åh jag har alltid velat se norrsken, min dröm!! så fint o magiskt! Mmm, bilderna gör det inte rättvisa! Det var magiskt! Men självklart så vore det häftigt att se det där riktigt sprakande färgspelet! De säkraste ställena är Lofoten och förstås norra Sverige, kring Kiruna/Jukkasjärvi, och jag har varit i båda men inte sett det där 🙂 utan i lilla Hudik! Vi får väl åka upp norr ihop nån gång!